Music is a universal language, allowing everyone to relate to it and enjoy it, but did you know the value of music can go far beyond simply listening? Music Therapy is the skilled use of music and musical elements to promote, maintain and restore emotional, spiritual and physical health. In Canada, music therapy started in the 1950’s when a group of Nurses in St. Thomas Ontario noticed the positive effect that music had on their patients. The practice of music therapy is now common all across Canada and is used in various clinical and community settings. Music and Memory is a non-profit organization that brings personalized music into the lives of seniors using digital music technology. 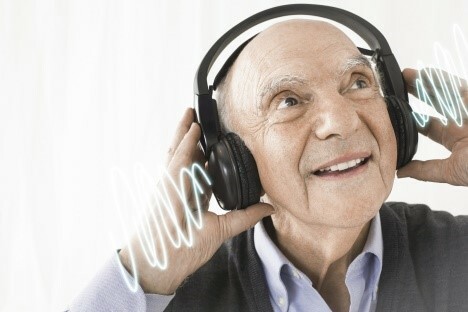 The program uses iPods with personalized music playlists to enable those living with Alzheimer’s, Dementia and other physical and cognitive challenges to reconnect with memories through the power of music. Music and Memory is proven to be effective in greatly reducing stress and anxiety in participants. Over 5,000 facilities in North America are currently certified to provide this unique method of music therapy.